Back then, the Naval Observatory was on 24th Street NW, in Foggy Bottom. It was an easy walk or carriage ride from the White House. On Aug. 22, 1863, Lincoln rode over, and Asaph Hall, the observatory’s astronomer, showed him the moon and the star Arcturus. A few nights later, Hall heard a knock at the door. It was Lincoln, back with a question: Why had the moon been upside-down in the telescope’s eyepiece? Hall explained that the observatory’s telescope worked differently from the surveying instruments and terrestrial telescopes Lincoln was accustomed to. Satisfied with the answer, Lincoln gave his thanks and left. In her new book Abraham Lincoln in the Kitchen, Rae Katherine Eighmey reconstructs Lincoln’s culinary habits with modern recipes for the foods he enjoyed. NPR recently talked to Eighmey about her investigation into Lincoln’s eating habits. Washington and Lincoln usually rank among the more admired presidents, but most people don’t consider them in light of each other. Presidents’ Day seems like an appropriate occasion to compare and contrast these two men who had little in common except the office and above-average height. Interestingly, recent years have witnessed renewed historical attention to both Lincoln and Washington as leaders of men. Doris Kearns Goodwin’s bestseller on Lincoln and his cabinet turned the phrase “team of rivals” into a catchphrase, while John Ferling has argued that Washington was a much more deft political operator than other biographies have indicated. Both men displayed an ability to handle opposition, but they approached interpersonal conflict in different ways. Ferling has written that during the Revolutionary War, Washington felt especially vulnerable to criticism. He was particularly sensitive when he thought critics were comparing him to powerful rivals, as he believed to be the case after the fall of Philadelphia, fearing a plot to oust him from command was in the works among his detractors in both Congress and the army. Lincoln faced his fair share of criticism, too, but his skin was thicker than Washington’s. If Lincoln and his rivals never constituted a true “team”—dissensions and divisions plagued the cabinet, and several of its members didn’t last the duration of Lincoln’s first term—he was nevertheless more adept at keeping discordant elements in check than the sensitive Washington. 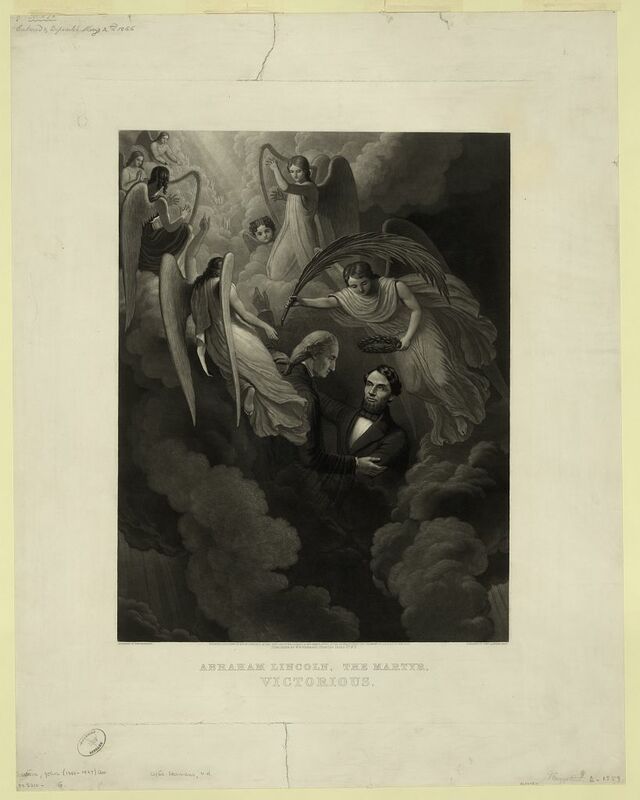 “Abraham Lincoln, the Martyr, Victorious,” by John Sartain. Library of Congress Prints and Photographs Division (LC-DIG-pga-03258). The two men also differed in their strengths and weaknesses when it came to the art of persuasion. Washington wasn’t known for his rhetorical gifts; his most well-regarded work of prose, the Farewell Address, was partly the work of Madison in its first draft form and Hamilton in a later one. But Washington was physically imposing and formidable, and he knew how to magnify his physical qualities with a little stagecraft. When he arrived in Philadelphia to attend the Continental Congress, he was decked out in military uniform, prepared to make a striking impression. And he knew how to play on an audience’s emotions by letting his formidable exterior slip a little, as he did during the unrest in the Continental Army at Newburgh in 1783. Amid reports that disgruntled officers wanted to use the army to pressure Congress over a lack of pay, Washington addressed the men at a meeting on March 15. 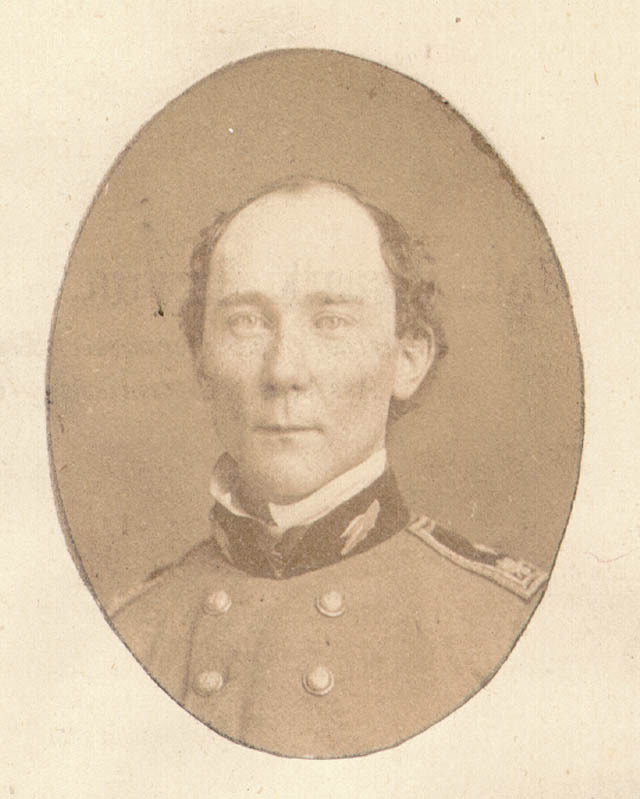 Fumbling over a letter from a member of Congress that he intended to read to them, he donned a pair of glasses, stating, “Gentlemen, you will permit me to put on my spectacles, for I have not only grown gray but almost blind in the service of my country.” The officers were deeply moved by this rare show of weakness from a man noted for his vigor and powers of endurance. Gangly and awkward, Lincoln could never command a room simply by walking into it, as Washington could. What he lacked in imposing presence, he made up for with his ability to craft compelling arguments and lyrical prose. When he spoke at New York’s Cooper Union in 1860, one member of the audience found him “so angular and awkward that I had, for an instant, a feeling of pity for so ungainly a man.” Eventually, though, the clarity of Lincoln’s ideas and the power of his words overcame the awful first impression and won his audience over. “I forgot his clothes, his personal appearance, and his individual peculiarities,” the eyewitness remembered. “Presently, forgetting myself, I was on my feet like the rest, yelling like a wild Indian, cheering this wonderful man.” At Newburgh, Washington used his physical presence to make up for what his prepared remarks lacked. At Cooper Union, by contrast, it was only Lincoln’s ability as a public speaker that overcame his ungainly appearance. Michael Lynch is a research fellow of the Abraham Lincoln Institute for the Study of Leadership and Public Policy and teaches history at Lincoln Memorial University. He holds an M.A. in history from the University of Tennessee, blogs about historical topics at Past in the Present, and is currently working on a book about the Revolutionary War in the South. “No other president is so firmly connected in our imaginations with an item of haberdashery,” writes Stephen Carter. 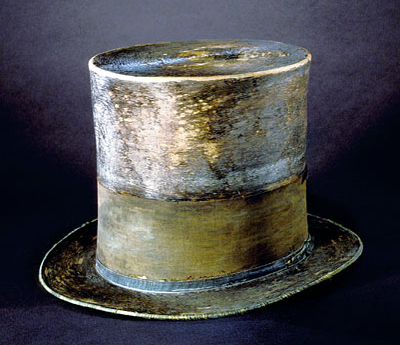 “We remember Franklin D. Roosevelt’s cigarette holder and John F. Kennedy’s rocker, but Lincoln alone is remembered for what he wore.” Carter considers Lincoln’s trademark top hat in the current Smithsonian magazine. We now have a tolerably accurate summing up of the late battle between Rosecrans and Bragg. The result is that we are worsted, if at all, only in the fact that we, after the main fighting was over, yielded the ground, thus leaving considerable of our artillery and wounded to fall into the enemies’ hands, for which we got nothing in turn. We lost, in general officers, one killed, and three or four wounded, all Brigadiers; while according to rebel accounts, which we have, they lost six killed, and eight wounded. Of the killed, one Major Genl. and five Brigadiers, including your brother-in-law, Helm; This list may be reduced two in number, by correction of confusion in names. The widowed Emilie Helm came through enemy lines to visit the White House after her husband’s death, but remained a defiant Confederate. 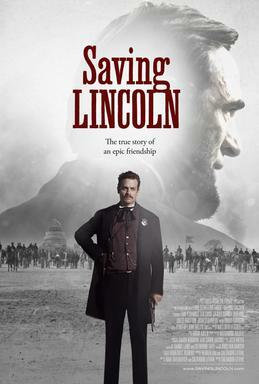 If you didn’t get a chance to see Saving Lincoln in theaters, it’s available on DVD now. Using actual period photographs for its settings, the movie explores the relationship between Abraham Lincoln and Ward Hill Lamon, the Virginia-born attorney who went from lawyer to presidential bodyguard. Lamon isn’t as well-known as some of Lincoln’s other associates, but the two men had a remarkable and longstanding relationship. They met in Illinois, where Lamon was admitted to the bar in 1851. Although he was born a Southerner, Lamon joined the young Republican Party and played an instrumental role in securing Lincoln’s nomination in 1860, packing the convention hall with his friend’s supporters by printing up extra tickets. Lamon wanted a diplomatic post, but spent Lincoln’s presidential years as a U.S. Marshal of the District of Columbia. In this position he managed to offend some powerful people, with some senators eventually demanding that he be fired. Lincoln entrusted him with a number of delicate missions, including a controversial trip to Ft. Sumter before that installation fell to the Confederates. Despite Lincoln’s wish to hold the fort, Lamon gave Southern authorities the impression that the Union was prepared to abandon it. But if Lincoln was angry at Lamon’s handling of the Charleston trip—and some sources indicate that he was—it didn’t stop him from allowing his old friend to take responsibility for presidential security. The burly Virginian often patrolled the White House grounds at night—armed to the teeth with a pistol, knife, and a set of brass knuckles—sometimes sleeping on the floor right outside Lincoln’s bedroom. Perhaps one reason Lamon was so conscientious when it came to presidential security was the fact that Lincoln himself seemed so cavalier about it. An exasperated Lamon wrote to him in 1864, “I regret that you do not appreciate what I have repeatedly said to you in regard to the proper police arrangements connected with your household and your own personal safety.…To-night, as you have done on several previous occasions, you went unattended to the theatre. When I say unattended, I mean that you went alone with Charles Sumner and a foreign minister, neither of whom could defend himself against an assault from any able-bodied woman in this city.” Lincoln’s lifelong tendency toward fatalism probably contributed to his seeming indifference toward his safety. He told associates that if someone wanted to take his life badly enough, there would be little anyone could do to stop it. Lamon wasn’t on hand on the night one of Lincoln’s enemies finally got the chance to strike a fatal blow, having been sent on a mission to Richmond. He returned to his legal practice after the war, setting his name to a poorly-received ghostwritten biography of Lincoln. After Lamon died in 1893, his daughter assembled some of his material into a second book, published in 1895. Some of his personal effects—his watch, marshal’s badge, and ashtray—are highlights of the collection of LMU’s Abraham Lincoln Library and Museum. As its title implies, Saving Lincoln focuses on Lamon’s role as bodyguard, but it nicely balances the public and private aspects of Lincoln’s life in the White House. Tom Amandes effectively conveys Lincoln’s affable side in a performance reminiscent of Sam Waterston’s portrayal in the TV adaptation of Gore Vidal’s Lincoln. (History buffs may recall that Amandes spent two seasons playing Eliot Ness in The Untouchables.) Lea Coco, Penelope Ann Miller, and Bruce Davison all give convincing turns as Lamon, Mary Todd Lincoln, and William Seward, respectively. The film includes a few incidents that don’t usually make it into Lincoln movies, such as the controversy over Lamon’s performance of a traditional song during Lincoln’s visit to Antietam. I’m glad to see it available in DVD format; anyone interested in history will find it well worth watching. —Michael Lynch graduated from LMU with a degree in history, worked at the Abraham Lincoln Library and Museum as an assistant curator, and now teaches survey-level history courses on campus. He holds an M.A. in history from the University of Tennessee and blogs about historical topics at pastinthepresent.wordpress.com.